Welcome back to another episode. Today I'm going to be sharing with you some stuff on shifting through parallel realities, the Law of Attraction 2.0. Oh, beyond that, of trying to attract something from over there to India year. Understanding that what you want to experience, it already exists so we can go about it. We go about it like I really want that thing over there and there's a couple of different ways I'm going to be sharing this perspective with you and understanding that over there is a construct in the mind and that the real level of resonance is from within. In essence, what I'm going to be showing you is how to vibrationally resonate with the parallel reality of your dreams, your dream, parallel reality that you want to experience now in the future. 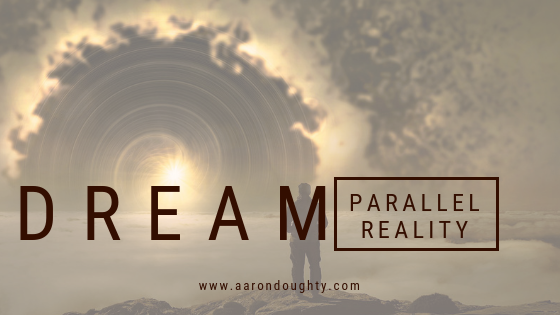 I think that what is going to become more and more commonplace is going to be understanding parallel realities and how we are shifting through different parallel realities of the every second. The thing is they look so similar to the parallel reality before it. She doesn’t even notice it, so in essence, I'm going to be showing you how to shift through parallel realities, which is a natural byproduct of the way reality works anyways, but what I'm going to show you how to do is how to be more consciously aware of it and then how to go in the direction of the reality of your dreams. But it's not really to go in the direction of it because I understand that reality on the outside what we perceive to be reality. It's just a reflection of our internal state of being, of and our internal vibration. It's about more so understanding that. This is how I live the lifestyle that I do today. And you may have heard this story before. I'm going to say just real quick, just again, just so you kind of know what I'm talking about when I say this. I had this epiphany moment when I was walking around my hallway is back in the day I actually live at my dad's house. At the time I was working at a nine to five job. I didn't really like, which is, I was selling woman's shoes working at Barneys New York. I sold the $800, a $1,200 pair of shoes on average price point and I knew I wanted to be doing my passion full time. So, I was like, okay. At the time, I just recently got done with the breakup with an ex-girlfriend, decided, okay, I'm going to move back into my dad for a period of time because I want to try to figure this whole side hustle thing out. I moved in. My dad was upstairs, uh, in front of my room and I was walking around. I was thinking to myself, what is the thing that I could do that would change my life the most over the next year? And I had just had this vision, I had this, like this epiphany, this feeling that if I was to make a video a day now, if I was to embody, doing my passion full time now, if I was doing body, that version of me now, then it would eventually become my reality. I imagine the best possible version of me, the Aaron that I wanted quote unquote big. And when I looked at that version of me, I noticed that I was making more content. I wasn't just making one video a week and hoping that things popped off. I had a much different work ethic. So what I started to do was I started to embody that version of me in the present moment. And guess what happened within three or four months I was able to quit my nine to five job and go full time doing what I love. And within a couple months after that I was able to move into a much nicer house, my own house or actually I moved in with some friends and a really nice house. I did that for like four or five months, about four, five months I think. And then from there I was like, okay, now I live in enough abundance where I can easily get my own house. And that's where I am at now. And that was like a year and a half, two years ago. And I, it was all from knowing how to shift into embodied that version of me. See the thing is, is all of these already exists. Anything you can imagine at a certain level, it already exists. The reason this is because there's an infinite number of parallel realities, so even though it appears from moment to moment that we are shifting, we are just continuity going from one to the other. It's a natural byproduct of reality. But understand that the past experiences that I had, I can remember them using my brain, but they exist right now. It's simply my perception. It's almost like the light of consciousness is just going through it to where there's different frames that are coming into focus. For example, think of it like a film projector, a film projector you have and this film projector, you can look at the film and you can spread out the film. You can take out the film and you can stretch it out in front of you. Notice that there's individual frames all separate individual frames. Some of these frames will look so similar that they barely look different, and if you speed up the frames, you can then see this one fluid motion. The thing is those all exist right now at the same way. All those frames of reality, all those different frames in the projector film, they all exist right now. It's simply the light of consciousness is going through them at a different rate and they're speeding through at a different rate. Our perception of it is what changes. The key is understanding that they all exist now. The version of you that you could imagine if you can imagine it, it already exists at a certain form and what's happening is it's almost like that parallel reality version of you is connecting with you and letting you know what you can do to resonate with it. That's the way you can think about it. This is more powerful, I think the Law of Attraction, because the Law of Attraction comes a lot of now it's, yes, whatever. We focus on expands. I'm not denying that. Not even talking bad about the Law of Attraction. Let me ask you, what would the best possible version of you be doing right now? Because I understand that version of you already exists, already exists, is simply about tuning into the vibrational frequency of it. Let's talk about vibrational frequency for a minute. Emotion is that what you feel and emotion comes from beliefs. You must first believe something to be true, to then have some type of way that you relate to it, so for example, somewhere to lose their job, they'd have to believe that losing their job was a bad thing. For them to feel negative emotion. It would have to believe that maybe they shouldn't have got fired within to feel that negative emotion. I know some people that have been fired, laid off, whatever you want to call it. They were excited because then it opened up a new realm of where they could go. They had no ties to it, so it's the meaning we give it just like the idea of a rainy day. It's a neutral idea, but the meaning we give it. It's going to be what it determines how we feel from it, the emotion we get from it. Our emotions come from our beliefs and we can always change our beliefs by becoming aware of them and asking what would I have to believe is true to be having this kind of experience? Then we can just let go of the beliefs we don't prefer to have, but it's about being aware of that. I was looking at the vibrational resonance of the version of me that was already doing YouTube full time and I noticed, okay, the emotion of this version of me is that I'm very passionate about making videos that I am studying, things I'm passionate about. I give a positive meaning to the things that are happening when it comes to making videos and editing and learning all this stuff. What I then focused on the motion of that version of me and the emotion of that version of me was someone that created daily videos. Somebody that was learning how to edit somebody that was learning, marketing, learning the business side of things that was doing all of these different things and as I would imagine the emotion and the emotion of that version of me. I started to embody it in the present moment and embodying. It felt a little bit different at first because I'm making daily videos. That's not what Aaron normally does, but within a short period of time I was able to get rid of the job I didn't really prefer to have and it wasn't that I had to get rid of it. It's just that it didn't serve because my vibrational residence was changing from needing to work a nine to five job to then being and doing what I love. You see a lot of people want to ditch your nine to five job, but they don't have something that they can put their vibration into that would replace it, and the key is to first do that and then the job is something you can let go. Imagine right now the best possible version of you. What are you doing? What emotions are you feeling? What kind of daily habits do you have? What is your body language? When you talk to other people, what kinds of beliefs does this version of you have? What kind of little next do you have about yourself in this parallel? Reality is understanding. It already exists. Tune into it and would you could see is that after you tune into this, you can see that this is that parallel reality you imagined is actually more of who you are because the version of you now maybe working a nine to five job you don't care for or maybe you are working the job that you love or you're doing what you love, but you realize that you don't have the beliefs that you're worthy or the beliefs of that version of you that you prefer to be, but understand this isn't necessarily about faking it till you make it and acting as if and all of this stuff. It's about identifying what is more you. This version of me now is more me than I was when I was back in the day working a nine to five job. That was in a way a facade of me coping with the way I thought I had to be. I'm thriving because I'm in my natural vibration, so it's about becoming more of who you really are meant to be and who you naturally are. We've identified the vibrational resonance. What you can begin to do is to simply embodying. Some of it might feel a little bit unfamiliar. At first, you might be going around, you might be doing actions you normally wouldn't take because I just feel it's kind of weird. It doesn't feel weird. It just feels unfamiliar. Normal is familiar, just not normal. You're going to be wiring in a new way of being, but the more you do it, the more that becomes your natural. I make a video every single day on YouTube and it's just a part of who I am. People ask me all the time I met, I've met up with other YouTube creators over the last month. I've met with three or four different YouTubers and they'll ask me, how do you make daily videos? I don't know how you do it, and they get it because they make the, you know, they make videos. They know it's not easy. How do you do it? Well, it's just a part of who I am. It's natural. I don't know. I don't know how to describe it. It's just what I do every day and I just come up with a new topic every day. Just have this. I just, I don't know. I just. It's a part of who I am. It's the vibrational resonance of that version of me. Imagine that version of you and start to embody it and it becomes natural. It becomes who you naturally are and then you're able to really vibrationally resonate with what you want to experience, but you see this is the trap. You don't want to fall into the same trap of Law of Attraction of saying, I want that over there. I'm going to feel the desire now because that desire is subconsciously saying that I don't currently have that what I want, so I want to track that from over there to India here. Instead of that. We change our terminology. I want to shift to that reality over there, but you see the key is to identify all of this and you can become aware of it, but the key is to actually eventually just let go of emphasizing that you're not there already. Just let go. Let go of the prior belief systems that said that you weren't worthy. Let go of believing in you need that nine to five job. It doesn't mean quit. It just means be aware of the beliefs you have about it. It's more about letting go than it is piling on. We don't want to. It's not a we don't necessarily say, okay, I don't want to track that from over there to here. I want to shift over there. We want to instead embodied the natural frequency of who we naturally are. Identify how you'd be acting. Identify the different habits you would have, the different ways you move around all of these different things and see does that feel natural for you? Not Natural as uncomfortable, but does that feel like who you really are? Identify what that is and simply make the choice, uh, from now on, you are going to embody more of this, but understand that you can also at the same time shift your level of consciousness and knowing that you can say yes to the present moment right now. What I'm doing is I am intending to merge the eastern philosophy of being present to the moment of being here now of understanding that we are already whole and complete with that of the western intellect, of creating our own reality and now choosing our own reality from parallel reality creation. But we can embody all of this right now. We can transform our consciousness and understand how reality works with the awareness and by understanding that we then change our lives. Awareness is the key, so from this point going forward, what I encourage you to do is to treat every moment as if you chose it. Because in a way you chosen your state of being. You've allowed the beliefs that you have to be in a place so even if it's on autopilot, you're aware that you're choosing it. You start to become more aware of how his reality is working, which parallel realities are shifting to, and as you become aware of what that is, you can then shift to the ones that you want to go to. But remember shifting to the ones you want to go to is emphasize. You don't currently have it, be here now, become at peace with where you are because when you're at peace with where you are, you're allowing things to be flexible. You're allowing things to be malleable, but when you're trying to change and go somewhere that you are not already, that's when there's a lot of this resistance created, so does know you are already whole and complete. Know that the parallel reality you want to experience, it already exists right here, right now. It's already here and now. It's just the vibrational resonance of it. You might not be tuning to it. The process of manifestation is not necessarily to try to attract something from over there to India here or try to shift to some parallel reality. It's simply about making what is invisible, visible due to vibrational resonance because it all exists here and now and the way you make something visible is by vibrationally resonating with it. You'll see sometimes you may end up getting into a certain state of being where then you are able to perceive of things coming into your life. Oh, I just have this opportunity to come into my life. I've manifested it. All you did is you vibrationally changed and now you saw an opportunity that may have always been there, may have been a job opportunity or something and you've always known this person, but all of a sudden the opportunity comes up because you vibrationally resonated with it is things that have always, always been around us, but now we are becoming aware of because we are vibrationally resonating with it, so it's about being aware of it and as we are aware of it, that's where everything begins to change. Remember, you don't have to create your reality. It already exists. Identify what that is, but embody it. In the present moment, that version of you know that you can also transform your consciousness by saying yes to the present moment. By knowing this moment is all that exists anyways, net. When you begin to do that, things become more malleable. Things begin to shift into a much more easy way and then as you begin to embody this, your whole life will begin to change. You will notice things change very quickly, but just accept whatever comes up. You are more than you can even imagine in. The more you tap into this, the more you begin to experience it, believe in yourself, as cheesy as that sounds. Maybe a capitalist or you might imagine that would be on it is so true because the more potential you believe you have, the more you will embody that potential. Something I was actually talking about the other day on Instagram, so I might have you put a shark in a certain type of tank. A lot of times that shark will only grow up to the size of its tank, the tank that it's in, but if you move it to a bigger tank and then grows even more now, in the same way that tank represents our belief systems, that tank represents the self-image. We have to keep ourselves in a small tank. We only live up to that potential. The key is to get rid of the tank and understand that you can be a cosmic shark. That was kind of what I was talking about. You don't because you can say, okay, well I'll just go into bigger tank. I'll go into a bigger thing. I'll go make her take. Well, that can work, but we could also do is realize your cosmic shark. You don't need the water to breathe. You can breathe wherever you are. You can let go of beliefs. You can let go of the tank and general and trust the process because you are more than just a shark. You are any moral, spiritual being, having a temporary human experience, and the more you embody the true potential of who you are, the more you really feel into it. Your vibration or resonance is a combination of your emotion and your motion. Remember, your vibration or resonance is a combination of your emotion and your motion. You can begin to resonate with that version of you by imagine how you'd be acting. You can begin to resonate with that version of you by imagine how you'd be acting. What actions would you be taking? You look at the habits you would have. You can look at the emotions you'd feel in the beliefs that you'd have. You could choose at that as the more authentic version of you. You can begin to embody it and see how your life begins to change. 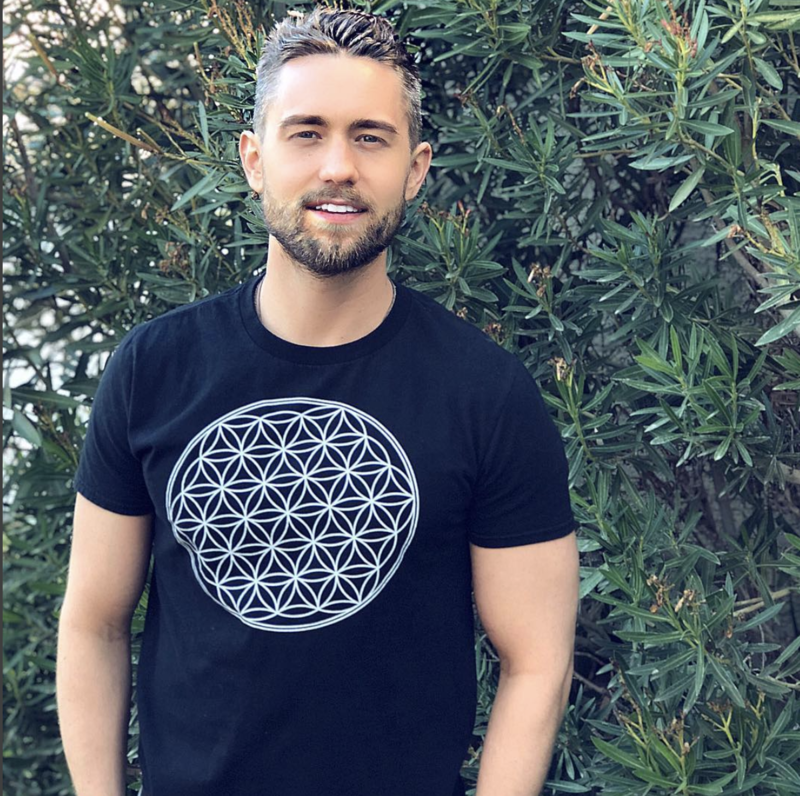 You can also shift your own level of consciousness and knowing that you are so much more than you probably thought that you are unconditional love and bliss that you can feel and say yes to the present moment right now and that by doing that your life begins to change in a very powerful way.